Paperless systems allow for scanning, archiving, searching on criteria sets, workflow management, electronic audit keeping, retention maintenance, and compliant security. Productivity time is now down to seconds for finding documents, rather than hours. Correspondence is performed right from the desk, rather than moving to and from fax machines, and copiers. Policy and Procedures are reviewed and tested right at staff’s workstations, keeping them up with and changes and updates. Human Resource departments have all employee and potential employee information secure and all in one centralized data base, for easy access, and response. Insurance forms, legal issues, can be submitted directly from their desks, as well. The ideas of use, really become endless, and systems must be flexible enough to accommodate your business needs. 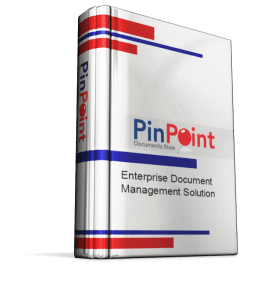 The document management software must securely hold all documents, and any file type. Redundant documents should be trained once, so you can scan them and the software knows what to do with them. Scan directly into the document management software with OCR and automatic indexing. Audit log of all activity by users. Check-in/Check-out documents for remote processing. Unlimited users with no additional fees. Retention date settings and purging routines. Unlimited drawers, folders, and documents. Multiple file rooms for additional security. Route any document or file from any Windows application without printing and scanning. Route Faxes and emails directly to the system without staff intervention. File documents in batches of multiple file types.